Beckie Elgin is a writer and an RN living in Southern Oregon. She is available for library and school presentation. Beckie also works as a free-lance editing, for both fiction and non-fiction projects. Please use the contact link for more information. 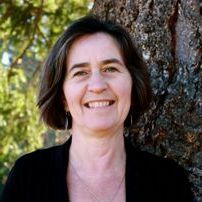 Beckie studied English and Creative Writing at Southern Oregon University, has a degree in Environmental Studies from Simpson College and an ADN in Nursing. She graduated with an MFA in Creative Writing from Pacific University in June of 2010. Her father was director of a zoo in Iowa when she was growing up, allowing her to live with wolves and other animals. Beckie’s book, Journey: The Amazing Story of OR-7, the Oregon Wolf that Made History, is available now! Book Talk: Oregon’s Lone Wolf. Review by Brian Jennings, Source Weekly. Journey. Review by Johannes E. Riutta, The Well-read Naturalist. Bookmarks: Oregon author’s write about Leonardo Da Vinci, wolf known as OR-7. Review by Amy Wang, The Oregonian. Journey: The Amazing Story of OR-7, the Oregon Wolf That Made History. Review by Timber Wolf Education Network. Journey. Review by Midwest Book Review. Women Backpacking Alone. Scary? Lonely? A Little, But Gratifying Too. I’m overjoyed wth new arvlrais of the Mexican gray! In 2010, numbered in the 40 s, they had steadily been on the decline for decades. Originally, we introduced 65 to our country to preserve this rare breed found in Mexico. As of 2010, scientific data shows NONE to be found in Mexico! They actually were on path to extinction as far back as the 20 s. For all those who think we couldn’t make such a large impact’ to this planet’s issues’. B4 U do anything-THINK! FOR EVERY ACTION THERE IS AN EQUAL&OPPOSITE REACTION-simple physics! Back in the late 70’s/early 80’s I was travelling from Houston to Austin Texas with a group of friends. It was very early morning well before the sun came up. As we were driving north the landscape changed from flat lands to rolling hills. My friend Sue was in the front passenger seat and I was directly behind her. It was too dark to really enjoy the scenery so we were watching the road for the possible deer crossing. Then as we came upon another hill, standing at the top right in our path was a wolf. We all yelled WOLF! Slamming on the breaks the car slid sideways then as it straightened the wolf started straight for the car then veered slightly and ran alongside of us on the passenger side. The entire incident appeared to be in slow motion. I could see those infamous yellow eyes and his tongue hanging to the side as he ran right by us. I felt I could have reached out and touched him. I say him because he was a good size wolf and as Sue found out later he may have been one of the last Mexican wolves left in the wild for that part of the country. It was by all means a Chance Encounter I have never forgotten. The inspiration of this experience changed both mine and Sue’s life. She has gone on to be a formidable crusader for wolf recovery and preservation and I write songs about wolves our wildlife and wilderness areas. The last verse of a song I wrote titled “CHANCE ENCOUNTER” sums it up perfectly. “And if by chance encounter, you meet those amber eyes, your spirit and the gray wolf will soar so free and high”. Thank you for your hard work & effort to protect wolves. It saddens me to see people hunt & trap wolves, cats, thrill kill hunting. People who do this are Evil & have no Soul, They can not be trusted……..
As a kid in Iowa growing up in the 1970’s, I followed articles of Bob Elgin in the paper. I have a unique memory of the zoo. It was summer, and the Bible school ladies took us to the zoo. I really wanted to see the tigers, but they weren’t out. We kept going back to look, still no tigers. Finally, at the end of the day TIGERS! And what a sight! We were told, babies were born and the male tiger took the kittens in turn and carried them past the fence. Now, everything I now know about big cats tells me this isn’t a real memory. Do you have any information about this event or was I only dreaming it? Hello Rae, and thanks for your comment. It’s fascinating how our memories take on a life of their own. Your’s sounds like a mixture of possibility and imagination. For one thing, we didn’t have tigers that reproduced at our zoo, however our African lions did. And the female lion, Nefer, did at times carry her cubs to different areas in their enclosure. I don’t recall Ramses, the huge black maned male doing this. I’m glad you got to see the big cats, whether lion or tiger. They were all magnificent and were my father’s pride and joy. Thanks for your speedy reply. It was a long time ago, so I probably did get the species of cat exchanged. I’m so glad it was a real memory and not totally fabricated. Your dad was awesome! A small town version of Steve Irwin, I always felt he really loved the animals in his care and did the best he could. In the late ’80’s, I visited the zoo and was pleased with the new habit design. The only thing missing was the lion’s mouth drinking fountains and open mouth animal heads over the trash cans. Truly kitschy, but much loved!